The banner looks fantastic in our nursery! Hello and thanks for stopping by and taking the time to learn a bit more about my shop! I'm Sarah, full-time Etsy seller and mother of three working from my home-studio in Ontario, Canada. Since 2012 I have been designing stylish boho chic hair accessories for women with my previous Etsy shop FeathersandFancy. At the start of 2017, I decided I wanted to change the direction of my business and focus on an entire new product line-- so, I opened Sparrow & Twig. 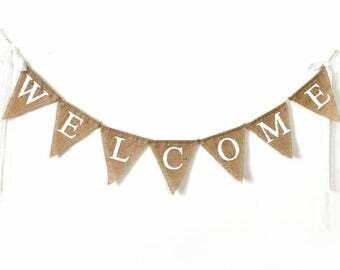 I'm so very excited to start this new adventure and look forward to creating charming rustic decorations that will add a captivating touch to your special celebration. 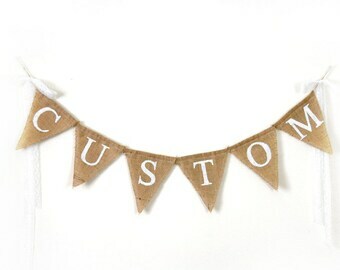 Whether you need a memorable decoration for a birthday party, anniversary, shower, or wedding, or simply want to add an element of rustic charm to your home -- you will find a wide selection of banners to choose from. If you need a custom design just let me know and I will be happy to respond right away and work with you to create a darling design perfect for your occasion. I'm Sarah-- full time Etsy seller and mama to three little cutie pies ♥ I look forward to creating simple charming decorations for you to adorn your most treasured moments with. Please contact me with any questions or to request a custom order.